Working towards the peaceful evolution of their country, two Uganda-based organizations, the Acholi Religious Leaders Peace Initiative (ARLPI) and the Interreligious Council of Uganda (IRCU) worked closely to conduct two workshops using the ESPERE Methodology in January and early February 2015 in the District of Gulu. The facilitators for the workshops had the benefit of being trained at the June 2014 workshop in Uganda led and organized by our Global Associate Lissette Mateus Roa. Each successful attendee will carry forward the accomplishments and lessons learned from their participation to benefit their communities at large. The workshops were developed to cater to the specific needs of the local program participants. The first workshop held Jan. 21–28, 2015 focused on those who were victims or survivors of the May 2004 Lukodi Massacre wherein the Lord's Resistance Army (LRA) raided and carried out an attack that led to the deaths of over 60 individuals in the town of Lukodi in Gulu District. The workshop itself was held at Lukodi Primary School and many of the participants were members of the Lukodi Reconciliation Team, a group made up of victims and survivors of the Massacre. Facilitator and participants alike exhibited strong enthusiasm for the program and despite literacy challenges, the group completed all eleven modules. The second workshop was conducted from Jan. 26 to Feb. 1, 2015 at Laroo Boarding Primary School in Laroo Division; Gulu Municipality. Participants consisted of 15 teachers from five Primary Schools all of which offer educational services to those in need including, formerly abducted persons, child mothers, street children and those with special needs. Program participants from this workshop as well were successful in completing all eleven modules. The ESPERE methodology uses a standard procedure in its approach to the process of forgiveness, refined slightly for each unique participant set. Similar to the June 2014 workshop, eleven modules shaped the program. Listening exercises at the onset of the workshop helped each participant understand the importance of being an active listener and an active participator. The first module paired individuals together to form a safe space wherein each person spoke about the experience that had hurt or traumatized them. In the second module, participants learned through role playing how aggression affects emotions, thoughts, and behavior and determines the consequences of pain on physical and emotional health. Program participants found themselves identifying with the fictional role they were playing; prompting many to further share stories of instances where rage worked as a blindfold preventing them from seeing clearly. Program participants made a commitment to help others come out of the darkness created by rage. In the third module, participants were led through a process of choice; participants had the choice of selecting unknown wrapped items, each item symbolizing an alternative leading to forgiveness. Ultimately, each participant actively chose to forgive and made a commitment of hope. After choosing to forgive, the fourth module focused on perspective, emphasizing that no two people will interpret a situation in the same way and many times someone will commit offenses for reasons that they deem as justified. Understanding these reasons helps provide a new perspective of the offender, resulting in a possible step towards common ground. This led directly into module five which prompted participants to make a list of both positive and negative aspects of their offenders and imagine a meeting with that offender. Module six had participants in a very literal sense of the phrase, wash away the pain. The symbolic gesture, after speaking about their offenses, choosing forgiveness, and attempting to understand their offender brought relief to some and a step in the right direction for many program participants. The next four modules took program participants through the identification of valued principles, caring for and protecting principles, and most importantly, rebuilding and restoring broken principles. Participants were given ideas to repair broken principles, including conversation initiators, apologies, or a symbolic act as reparation - ultimately to reestablish a relationship. Finally, the last module provided practical understanding that although painful memories may never be completely forgotten, reworking them helps participants enter into the state of communion with freedom, solidarity and peace. Most inspiring, despite their traumatizing past, the human spirit moved the Gulu participants in the workshop with the end goal of connecting with their brethren and looking towards a better future; proving once again that forgiveness and reconciliation rises above hate, and furthers the advancement of humanity. To view the full report and see more photos from the ESPERE-Uganda Project, see this link. To find out how to take a more active role and support our work building grassroots partnerships like the ones we've established in Africa and Colombia, please visit here. 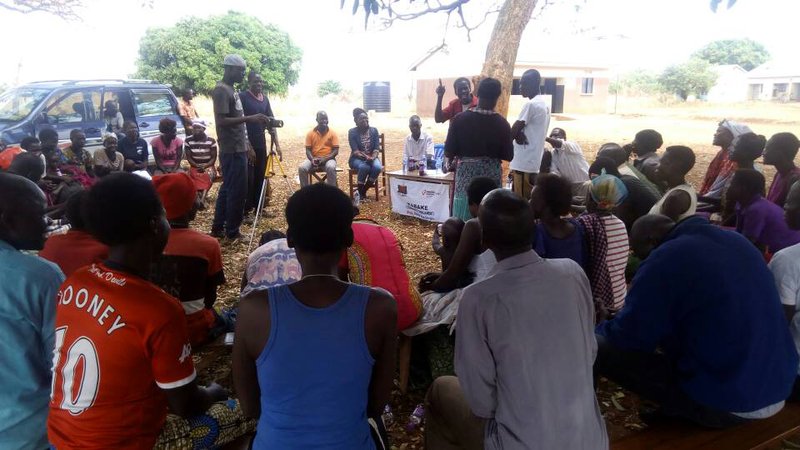 Charles Okello and the YOLRED team host a series of local "community parliaments" across Northern Uganda to promote solidarity and civic engagement. Uganda Partners Featured in NY Times, Washington Post and more! 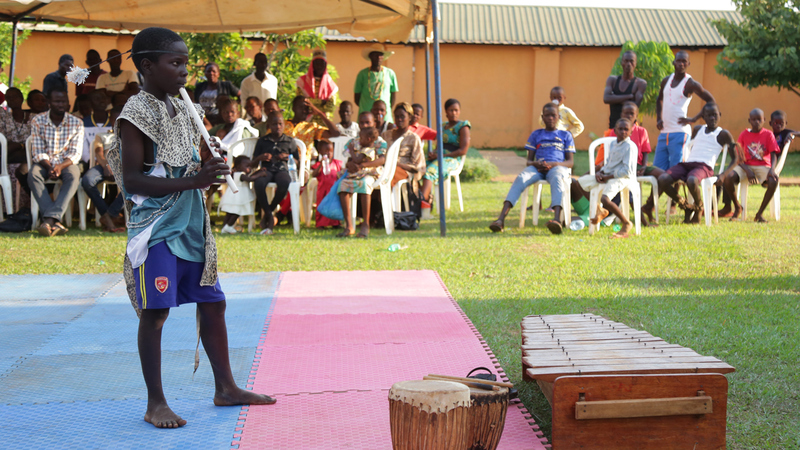 Check out the amazing news coverage about the YOLRED community gathering attended by several hundred people in the Gulu area to showcase its new music therapy program. 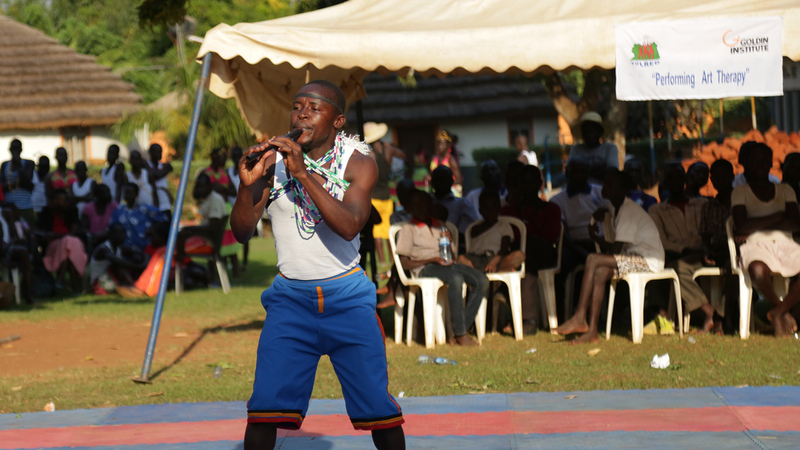 On December 12, YOLRED, our global partner in Northern Uganda hosted a community gathering attended by several hundred people in the Gulu area to showcase its new music therapy program, as well as mark the end not only to 2017 but an incredibly active and momentous inaugural year in operation. Global Associate Lissette Mateus Roa reflects on the peace process in Colombia and offers insights on the path forward.